Experience the four great trains of the Durbin & Greenbrier Valley Railroad! With departures from different towns and small cities along their route, these trains transport you into some of the best scenery this side of the Rockies. Our unique collection of trains roll through deep canyons featuring narrow passages beside sheer rock walls with vivid views of unspoiled mountains. Along the way our trains travel beside three scenic cascading rivers, climb to over 4,000 feet in elevation, burrow under the mighty Cheat Mountain (via an 1,800 foot tunnel featuring an “S” curve of the track inside), and negotiate the two sharpest mainline railroad curves in the U.S.! We offer visitors a first-hand look and all the natural wonder that makes West Virginia a truely wild and wonderful vacation destination! 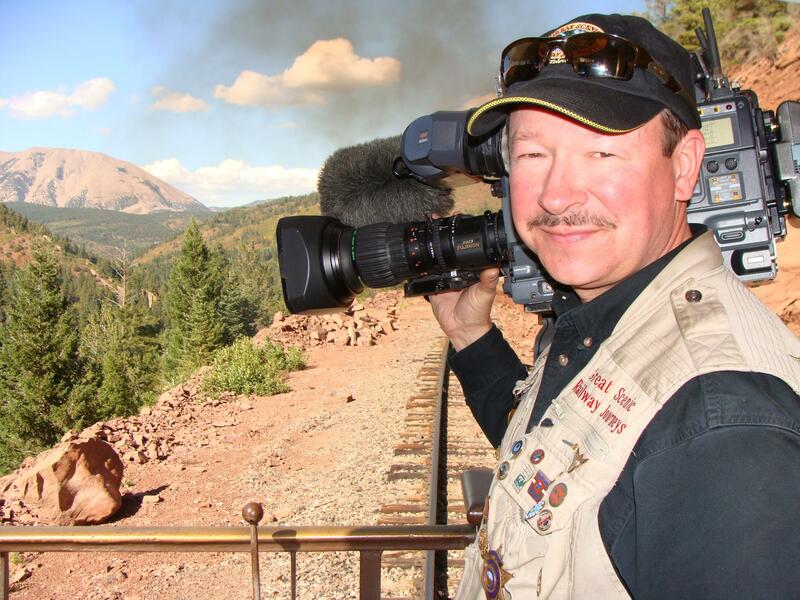 We combine four amazing mountain rail adventures with a number of unique packages and programs, making this the depot for a sojourn through time, natural beauty, and a railroad experience that you won't find anywhere else. In historic Durbin, you have the opportunity to ride & experience the sights & sounds of one of the rarest steam locomotives in existence. The DURBIN ROCKET Excursion Train is powered by a rare steam locomotive; Old #3, one of only three operating Climax geared logging locomotives on earth. This 55-ton antique was built in 1910 for the Moore-Keppel Lumber Co in nearby Randolph County. Today you can ride in authentic 1920-era coach and vintage wooden cabooses behind #3 as she puffs & whistles her way along the free-flowing Greenbrier River in Northern Pocahontas County. Your ride covers 10.5 miles in 2 hours and offers many beautiful river and mountain views in the Monongahela National Forest. This smooth climate-controlled passenger train has gained a reputation as one of the most exciting mountain wilderness excursion rides in the US. The 4-hour, 46 mile round trip departs at 11:20 AM from the restored Elkins depot at One Station Square. This ride features two separate mountain grades, an “S” curve tunnel, passage into a 1,500’ deep canyon with steep densely forested slopes, and crossing a high bridge over the rushing Shavers Fork of the Cheat River. The route of the CHEAT MOUNTAIN SALAMANDER has been extended to include a spectacular 128 mile, 9-hour round trip through one the largest wilderness areas in the eastern US. Travel into the high country spruce forests of legendary Cheat Mountain on the most distinctive rail excursion in the eastern US. This 9-hour ride transports you through mile after mile of unbroken, untamed mountain wilderness that relatively few people have actually seen. In fact, this rugged mountain area is so inhospitable, neither early settlers nor contemporary society have opted to settle here. As a result, with the exception of early 20th century resource extraction activities, this stronghold of nature remains largely as it was before modern civilization arrived. We invite you to enjoy an evening of fine dining on our beautifully appointed MOUNTAIN EXPLORER DINNER TRAIN as it travels through some of the best scenery in the eastern US. Train travel and fine dining have been one of the great pleasures enjoyed by previous generations of Americans. As faster modes of transportation evolved, the magnificent long-distance passenger trains began to disappear, thus bringing to a close the era of dining car service. However, many who remember this oft-romanticized time in history still visualize the quixotic notions evoked by this unusual combination of dining while gliding effortlessly past towns and rivers, accompanied by the rhythmic melody of the rails. The story behind this railway goes back to two truck drivers, John and Kathy Smith, who wanted to preserve the section of track that was washed out from Durbin down to Cass. They got the town and the state behind them to preserve this little piece of rail history in West Virginia.. The other thing I noticed when I was filming up there was the dedication of many of the volunteers along with the paid staff. They all have a passion for the deep railroad history that West Virginia has. They are very friendly and knowledgeable and really add to your overall experience when you ride the train. The other thing that I really like about it is that there are so many rails to trails to bike on, as well, in the area. So even though some of West Virginia's rails have been abandoned and torn up, the state has saved the easements for you to enjoy by walking, riding horses, or taking bikes. In closing, I highly recommend you making the Durbin and Greenbrier railroad one of your next rail adventures. One thing I love about this railway is the diversity of trips they offer. Everything from taking a journey behind their historic steam train, eating a four-course gourmet meal on their dinner train, and even camping out in one of their cabooses on the Greenbrier River. Great Scenic Railway Journeys would like to thank the Holiday Inn Express & Suites in Elkins, WV for partnering with us and providing lodging during our filming. I highly recommend if you are visiting the railway to stay at this location. The accomodations are top notch, the staff are great and a continental breakfast is also included. Contact Durbin & Greenbriar Valley Railroad to learn more!